There are few greater pleasures than one’s own reservations being abolished by the reveal of a genuine purpose. “The Hunger Games: Catching Fire” is that rare sequel that not only surpasses its original but also brings with it the undeniable sense that yes, finally, all the maddening chaos and underlying pathos of this deeply political story has finally revealed an important subtext. I admire it not just as an entertainment but as a persuasive statement against suggestive themes, and because it sets these ideas within an intricate world shrouded in unending gloom, those arguments are enriched beyond the knee-jerk assertion that they simply exist to create doubt in the survivability of young heroes. So often in the structure of modern adult yarns do storytellers depend on the cynical reality of some unimaginable near-future to stir the hearts of youthful adventurers into rebellious actions, and often without a plausible backdrop. This is a series that has always been well made and seemingly within an identifiable frame of reference, and yet now seems to be more than just a denial of hopeful outcomes. “Catching Fire” supplies its likeable heroes with a discernible presence that enriches the groundwork, formulates a plausible direction, engages the characters and gets us all genuinely involved without squandering our sense of hope. This rather drastic shift in response may come as a remarkable insight to anyone already well aware of my disdain for the first film – and indeed the whole recent genre of young adult political tragedies (which include “Divergent” and “The Mortal Instruments: City of Bones,” among others). Of that first entry into this franchise, I wrote that it had “all the technical ingredients of a great (and even important) film, but sideswipes them in order to leave the audience feeling like that they have been abandoned in the wilderness of extreme cruelty.” My perspective was out of step with the overall response of most movie journalists, many of whom initially announced it as one of those elusive book-to-screen adaptations that didn’t diminish the nature of its source material. Right, but we also depend on our stories to formulate those ideas under the influence of a tone that caters to our individual desires, especially when we are as young and impressionable as this story’s target audience. What the first “Hunger Games” did not offer was a tangible reason for doing what it was doing, and none of the heroes were ever able to rise above a reality that saw them as disposable rats in a bloody maze. Now, under the guidance of a director more in touch with the language of the material, this new film meditates on those obstacles and uses them to drive a plot with more focus, less mayhem and an underlying nerve to challenge its characters to manipulate the game rather than just subject them to incessant fatalism. The story picks up about a year after the events of the first have ended. Katniss (Jennifer Lawrence) and Peeta (Josh Hutcherson), the two survivors of the most recent Hunger Games, have returned to the poverty-stricken social climate of District 12, and have brought with them an overwhelming sense of unrest: the acknowledgment that the antics of a vengeful capital can be – and now have been – subverted by the chutzpah of youthful revolutionaries. The survivability of both, unprecedented in any of the 70-plus annual games which demand only one survivor a year, also carries with it the silent acknowledgment amongst other districts that liberation from the influence of a fascist government may actually be within a tangible line of sight, and when both of them venture out to promote their success, their speeches are intercut with a sense of awareness that inspires exactly what the government fears: a spark of inspiration in a populace hungry for uprising. Those possibilities place distinct danger right onto the two now responsible for changing the rules of the games, and early on there is a confrontation between Katniss and President Snow (Donald Sutherland) that is rather brilliant in how it foreshadows the intentions of a villainous society without coming right out to state the obvious. The survival of Katniss and Peeta stir their worried authorities into an action that may, in fact, deepen the nature of their rule (and squander all possibilities of resistance). As both of them tour districts as part of a morose victory parade, any indications of support beyond blank stares in crowds of observers are usually met with violent retaliation (ironically enough, by government officials referred to as “peacekeepers”). The Capital then hires on a new game director named Plutarch Heavensbee (Philip Seymour Hoffman), who promises a new level of intensity in the upcoming annual event (which will also be the 75th year of festivities). And then when the time comes to make the announcement of the new Hunger Games, a startling change to the rules emerges: this year’s celebration will involve only existing winners to previous Hunger Games rather than a pool of new contestants, which puts both of last year’s survivors right back into the predicament that they initially rebelled from. Those within the Capital’s colorful society see this declaration as a way of creating more excitement in their widely-celebrated tradition, but for all those “tributes” selected to join in on the ranks, it is clear that the decision is a direct attack on their muted existence – sweeping in the sense that it obliterates most possible dissenters within the ranks of prior survivors, and also serves to silence any future rumblings associated with impending rebellion in the districts themselves, especially those that are empowered by the intelligence (and defiance) of Katniss. What this inevitably creates is a very tense power struggle behind the scenes between tributes and their oppressors, who act out their mutual hatred for one another often in front of cameras with sly euphemisms or game-changing announcements (or in some other cases, outright protest with no sense of tact). 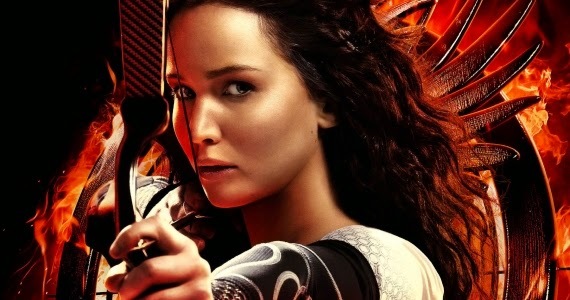 At this point, the Capital’s actions have even undermined the enthusiasm of some of its more notable supporters – including the costume designer Cinna (Lenny Kravitz) and the colorful chaperone Effie (Elizabeth Banks), both of whom have now replaced their outward enthusiasm for the games with thoughtful eyes that seem to quietly detest the actions of their government while sympathizing with the tributes they have grown close to. And because the 20-something participants in these games are already established in the eyes of their audiences, each of them carries some semblance of weight beyond the acknowledgment that they are all just objects in a game of murder. Some, like the outspoken Johanna (Jena Malone), make no secret of their hatred for the Capital’s shameless motivations in very public scenarios; others, like the aged Mags (Lynn Cohen), quietly accept their fate without resorting to the competitive necessity of the events. And then in a more calculated moment, both Katniss and Peeta – who are still acting out their roles as star-crossed lovers in the foreground of a violent event – make an announcement so startling and unprecedented that it begins to unravel public perception of the games just as they are about to get underway. All of this builds into a plot with extremely dynamic goals that bounce between thoughtfulness, dramatic intensity, skilled observations and twists that slither their way onto the screen in rather unexpected increments. The very idea of this multi-faceted screenplay being so thoroughly involved in these lives is remarkable given the expansive nature of the narrative; written by Simon Beaufoy and Michael Arndt, there is never a moment when the material meanders outside the focus and settles in that crevice of haphazard overkill that tends to come with fantasies of such gargantuan scope. And just as the story movies strategically though those obstacles with distinct confidence, the characters are supplied effective touches of behavioral observation that add to their dimension, and dialogue that wisely touches on all the tangible facets of their situations ranging from hysteria to anguish and even defeatist acceptance. The performances, meanwhile, are notable for rising above the clichés sentiments of the genre; both Lawrence and Hutchinson are in tune with the personalities of their heroes without over-amplifying their presence into something hysterical, and many of the supporting players – like Kravitz and Hoffman – settle in the grooves of their screen personas not like they are foreign to the personalities, but as if they have always identified with their qualities. A big selling point of these sorts of movies has usually been their visual audacity, and the universe of “The Hunger Games” contains some of the most ambitious sights I have ever seen in a film of this nature. Not content to simply offer sly winks in relation to more famous movies about plastic societies (in particular, Terry Gilliam’s “Brazil”), here is a film that also creates the sensation that the tragic world of these people extends far beyond the perimeters of district gates or city walls. Of the wide range of exciting new visuals that “Catching Fire” offers – including marvelous costumes, ironic uses of color and sweeping shots of city interiors – the greatest is the death arena itself, which is structured like a clock and unleashes environmental traps during the start of each hour in order to ramp up the danger of the impending events. And as the situations themselves intensify, I was also marveled (and pleased) to see the filmmakers actually utilize their creative images in conjunction with the script, both of which work hand-in-hand to push us towards a climax that is startling in the way it reveals hidden details, and marvelous in how it flips around our expectations without insulting our intelligence in the process. To see this traits at all in a movie of this nature is a welcome change in priorities; to see them here, in a sequel to a much less effective predecessor, is to witness a vehicle leave behind shaky ground and descend head-first into the certainty of its conviction. Is there something about lengthy commitments to stories that diminish their power in the early stages for casuals? The first three “Harry Potter” films inspired the same reservations had with the first entry into this series, and like those films I eventually came around to seeing the material exactly for what it was. Maybe the stories of youths and adolescents are more rewarding in those later stages, as we are observing the characters come to the age of profound decision-making. Maybe with maturity comes the possibility to get more easily swept up into the psychology of a different world rather than the visual vulgarity of it. Maybe filmmakers are just so oblivious to the needs of such ambitious premises that it takes them a few tries to establish the necessary rhythm. Or maybe, just maybe, more skilled writers depend on something a little more profound beyond the initial setup to sustain any kind of interest in lengthy narrative commitments. Whatever the reason (if any), “The Hunger Games” has reached the summit of its true meanings here, and my mind has been roused into a frenzy of thoughtful emotions as I wait, rather anxiously, to see what remains for these young protagonists as they are whisked away in an ambitious narrative in which their individualism makes them targets against a system that has gone beyond the point of acceptable intrusion.